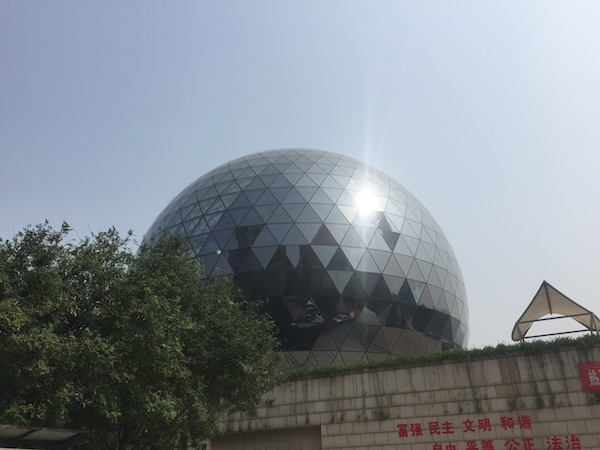 The planetarium at the Shaanxi Science Museum was burdened with an aging optical projection system, limiting the range of content available in the digital age. In early 2016 the museum began the process of upgrading the planetarium. After an exhaustive process of comparing systems from many vendors, they chose Fulldome.pro to bring their facility into the 21st century. We installed our DX8 projection system with eight NEC-PX803UL digital laser projectors to produce a bright 8000 lumens 4K image. The Fulldome.pro auto-calibration software meant that the museum could continue to use the existing dome which had become quite dirty and uneven over the years without needing, an expensive and time-consuming, major cleaning operation. The quick installation meant that the dome upgrade was completed in time for the Chinese holiday period and with range of new shows now available the museum was soon welcoming 6000 visitors per day, more than three times the usual holiday numbers!